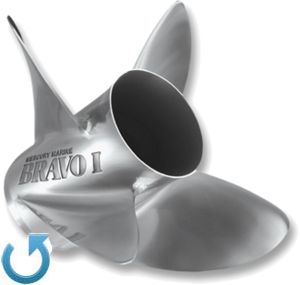 Designed to optimize the power of elevated installation MerCruiser Bravo One stern drives and Mercury outboards for faster speeds and higher performance. The high rake and shallow chord swept blade design allow for more efficient use of the four blades for a semi-surface piercing operation. 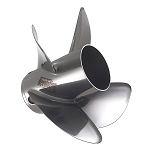 Great for high performance stepped hull deep vee or twin hull catamarans. The large blade area, aggressive cup. 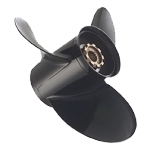 High rake design delivers exceptional holding in turns at high speeds in all sea conditions. 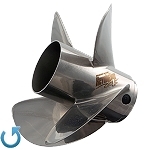 For high-performance, high drive height, outboard and sterndrive applications. Moving from a 3-blade to the Bravo 1, drop down one inch in pitch (22" Bravo 1 for 23" 3-blade Mirage). Lab Finished in the Bravo 1 features a polished finish with crisp leading edge, thinned blades without losing the strength integrity. 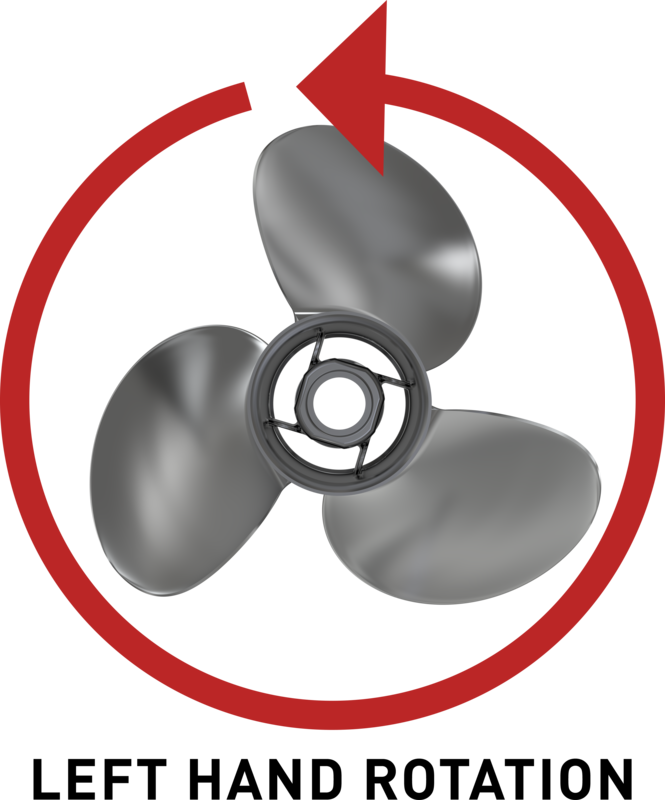 This function increases and enhances the performance of the propeller with expected larger gains to RPMs over other finishes pitch for pitch.